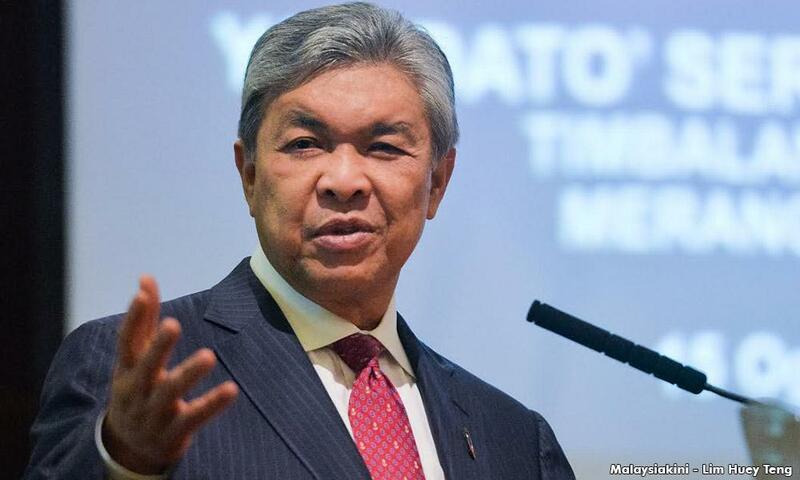 Deputy Prime Minister Ahmad Zahid Hamidi does not want the federal government aid to Penang flood victims to be politicised, although the state is ruled by the federal opposition. "The federal government is committed to provide aid to all the flood victims although some people say it is not the responsibility of the state government but that of the federal government. "Please do not politicise the federal government aid just because the victims consist of those from different political parties and of different races. “Since Malaysians can help disaster victims in foreign countries, surely priority must be given to helping our own people," he told a press conference after a closed-door session with police personnel at the Sarawak police headquarters in Kuching, today. Zahid, who is also home minister, said Penang Chief Minister Lim Guan Eng contacted him for the second time today, at 12.41 pm, to say that the federal government's aid via several agencies had been received. "The prime minister (Najib Abdul Razak) and I extend aid despite the fact that the state government is not with Putrajaya (federal government). “However, for the sake of humanity and responsibility to the people as a whole, I ordered the enforcement agencies to mobilise their assets immediately. Zahid said the aid items distributed to the flood victims were from the allocation of the National Disaster Management Agency. “The aid is not only financial but also in the form of food, equipment, medical and other requirements, and were distributed less than six hours after the order was issued. "Flood victims yet to receive aid can contact Nadma officers or the other relief agencies for immediate action,” said Zahid who is also the chairperson of Nadma.